What would make you throw yourself out of a plane at 15,000 feet? For our charity skydivers, it was the thought of raising lifechanging amounts of money to help families dealing with autism. “It’s something I have always wanted to do, to challenge myself. 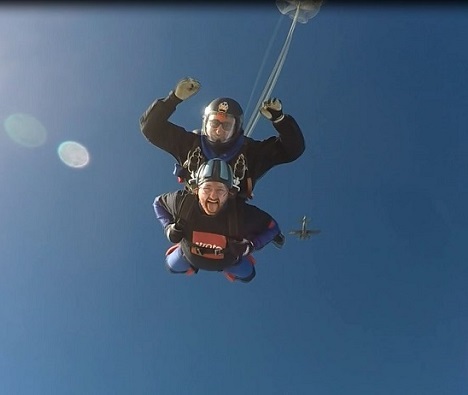 And being given the chance to tick something off my bucket list while also raising money for such an amazing cause was just too good to pass on!” says Hannah Granton, one of the brave team that took part in the skydive. Hannah was joined by 19 friends and colleagues on Thursday 27th September at Skydive Hidalstow, and the team managed to raise almost £3,000 for our Charity of the Year, Autism Angels. Read more about why we’re pushing our limits and giving our all to raise money for Autism Angels, our Charity of the Year for 2018.